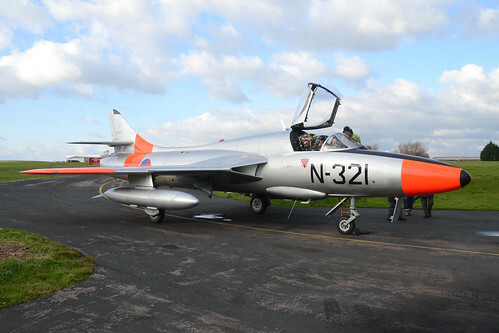 The following were present in 2014. 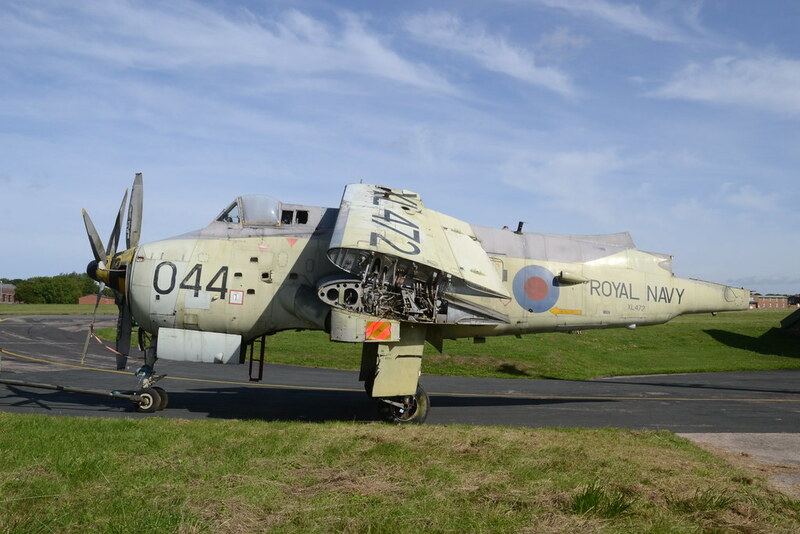 Those without a departure date were still here on 31/12/14. 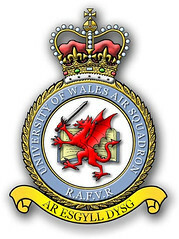 University of Wales Air Squadron - callsign "UAWxx"
634 Volunteer Gliding Squadron - callsign "VGLxxx"
South & East Wales Police Air Support Unit - callsign "Police 32"
Did have Hawk cockpit XX254 and AV-8B cockpit 163205 for structural repair training, both last noted 10/08 and probably long gone. 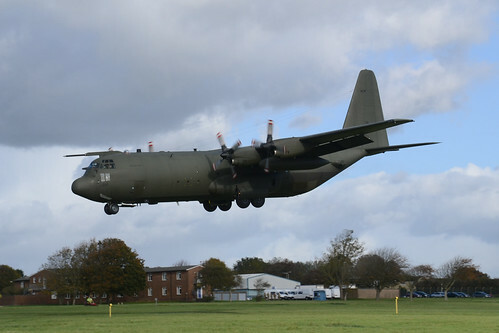 The unit moved to Wittering in 2014. 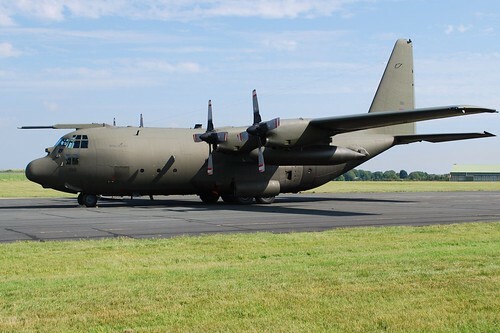 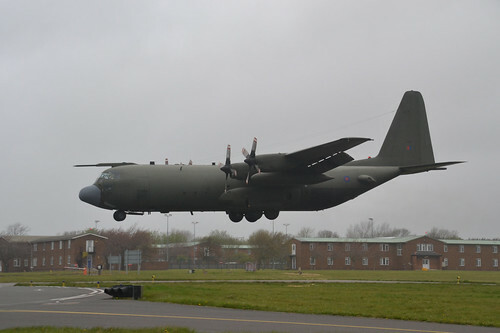 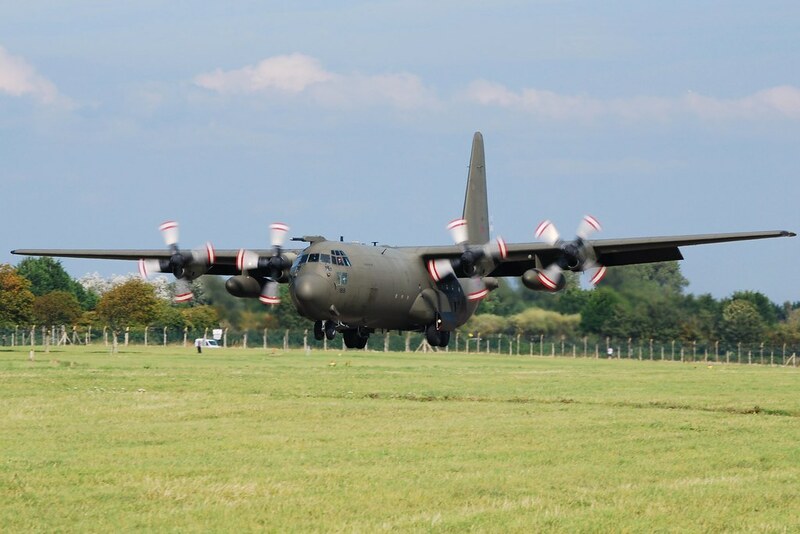 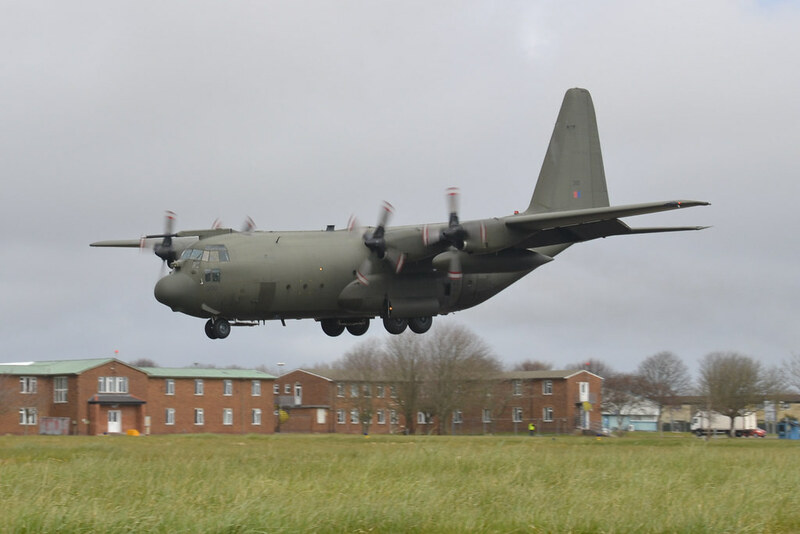 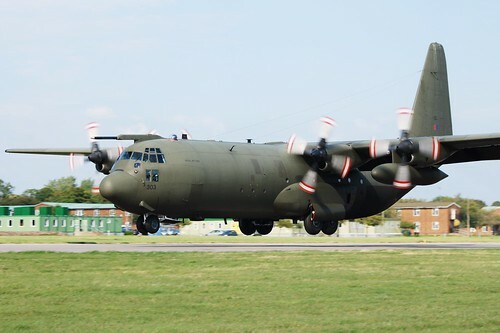 Operation formed in 2013 to store/dispose of the remaining C-130K Hercules C.1/3 fleet and associated spares/GSE. Based in the "Superhangar". 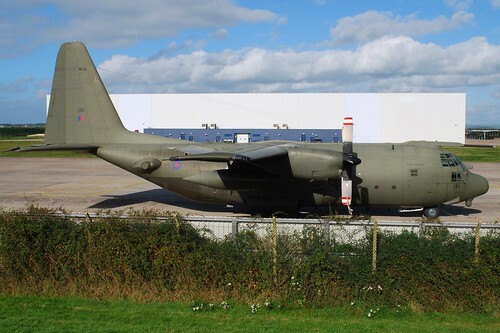 XV177 Hercules C.3 ..arrived 29/10/13 as "Reynard 1"
XV188 Hercules C.3 ..arrived 05/09/13 as "Ascot 719"
XV196 Hercules C.1 ..arrived 04/09/13 as "Omen 2"
XV200 Hercules C.1 ..arrived 18/04/13 as "Ascot 702"
XV209 Hercules C.3A ..arrived 25/04/13 as "Ascot 715"
XV214 Hercules C.3 ..arrived 29/10/13 as "Reynard 2"
XV295 Hercules C.1 ..arrived 22/10/13 as "Reynard 1"
XV303 Hercules C.3 ..arrived 22/10/13 as "Reynard 2"
ZD704 BAe.125 CC.3 ..reportedly arrived by road from Brize Norton on 20/11/13. This was substantially damaged in a severe hail storm at Kandahar, Afghanistan, probably on 23/04/13. 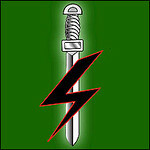 It may be with 71(IR)Sqn for damage assessment. 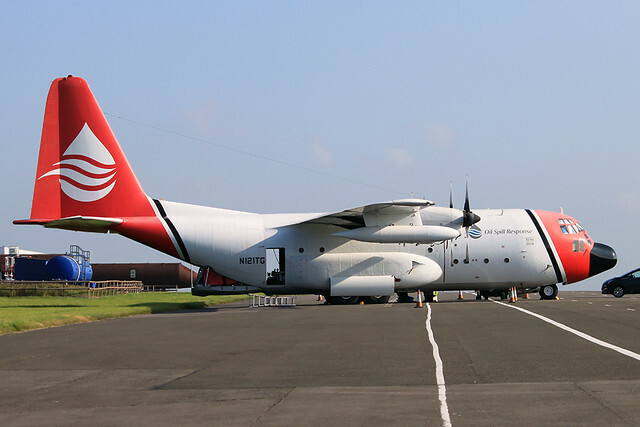 N121TG Lockheed C-130A Hercules (3119) ..arrived 01/11/14 from Cardiff, based until June 2015 on oil spill response duties. 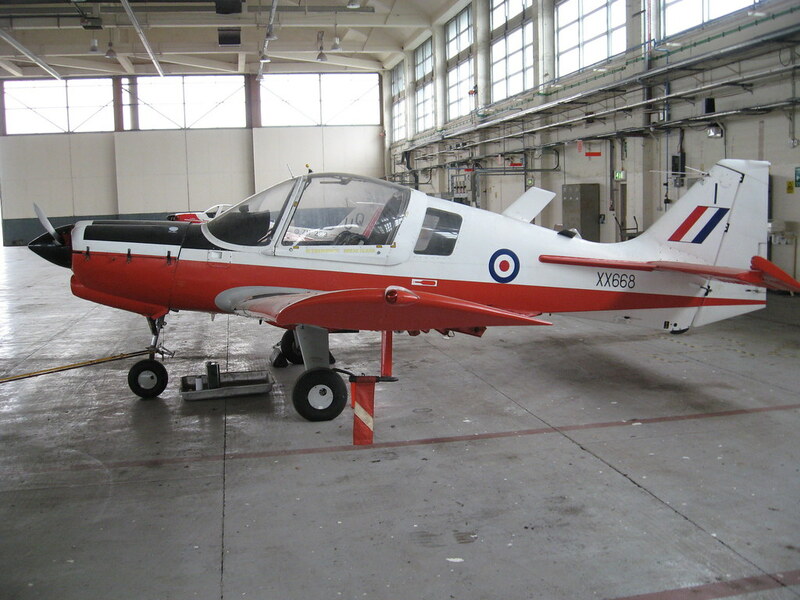 Due to start operations in 2015 from a new purpose-built hangar in the Southwestern corner of the airfield as part of the UK SAR contract. 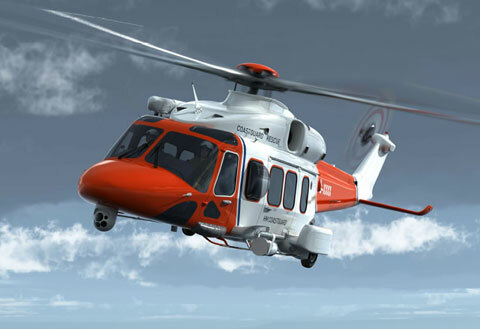 Two AgustaWestland AW189s will be based. 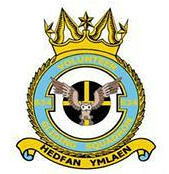 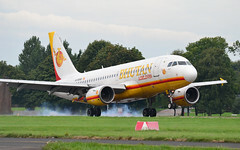 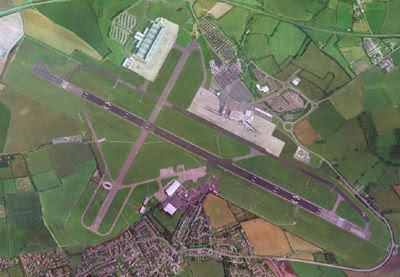 Moved in from Exeter in December 2011 and are based in one of the hangars nearest St.Athan village. 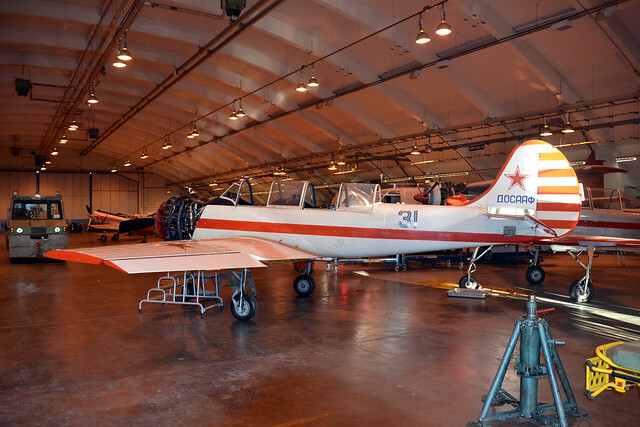 They provide hangarage and maintenance support to the Red Star Rebels and based private a/c and carry out long/short term maintenance/restoration work. 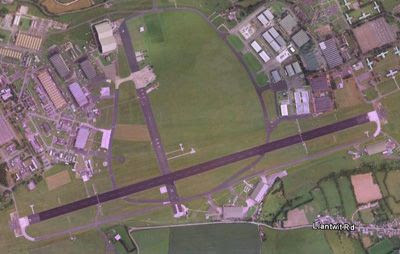 Renamed in 10/13. 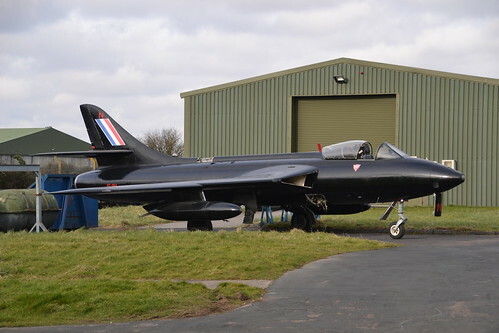 The following are aircraft on restoration, maintenance and storage only. 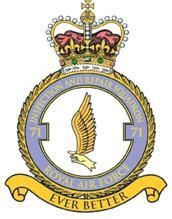 See "Private Residents" for active a/c hosted by HAS. 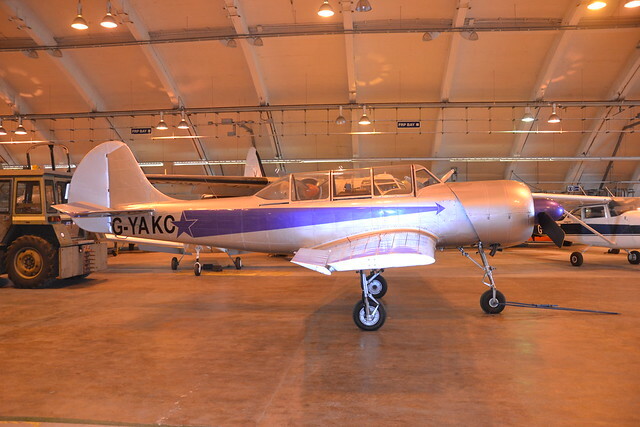 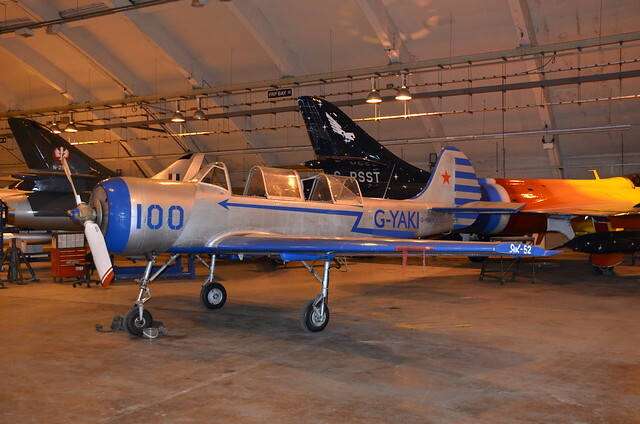 G-CBAN/XX668/I Scottish Aviation Bulldog T.1 ..first noted 04/11 in UWAS hangar. CofA expired 21/05/10 with a Bristol owner. 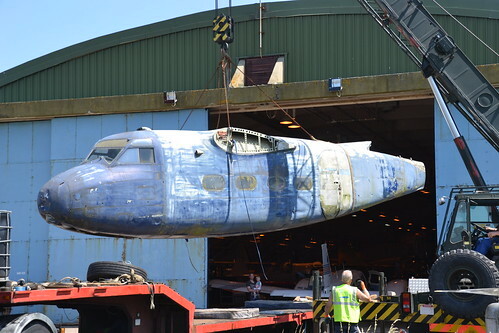 Moved to HFL 08/12 for restoration. 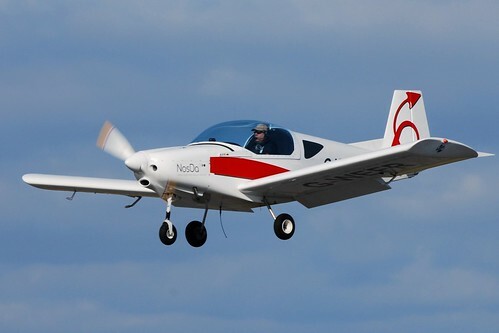 First flight post maintenance 05/04/14. 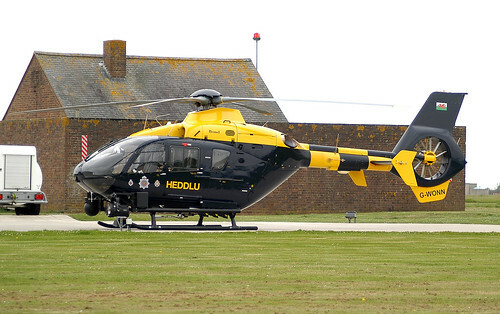 G-CONY/N22746 BAe Jetstream 31-12 ..arrived from Humberside by road on 25/10/14. 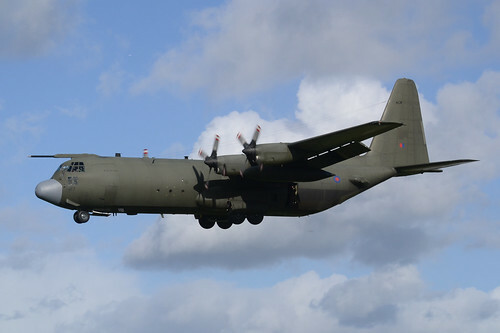 Had arrived by air at Humberside on 04/09/12. 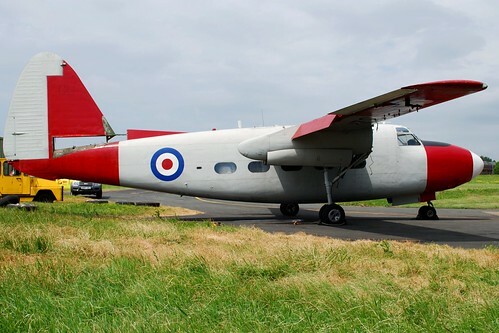 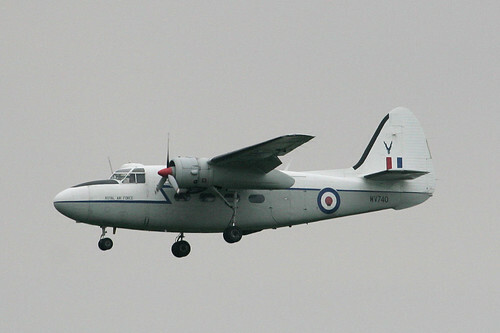 WF137 Hunting Sea Prince C.1 ..arrived 11/07/13 from Booker as a spares source. Departed by road 09/14 for scrapping in the Cardiff Docks area. 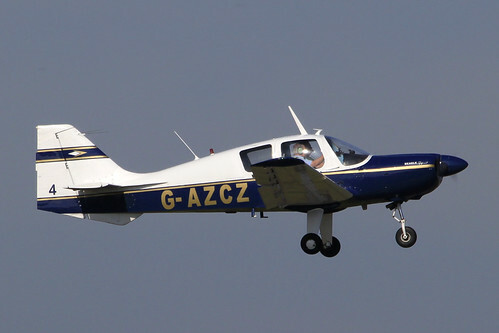 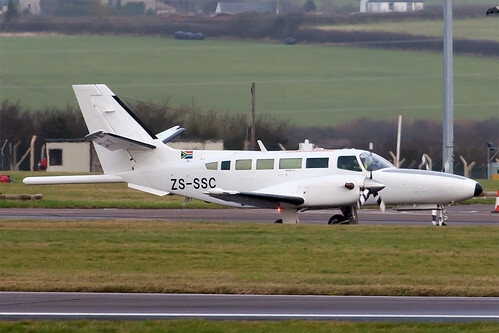 ZS-SSC Reims-Cessna F406 Caravan 2 ..arrived 07/10/14 from Cardiff. Departed 05/04/14 to Cardiff, then to Marseille on 09/04/14. 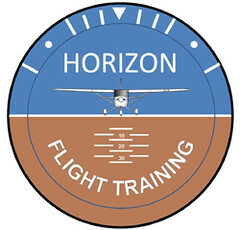 Horizon Flight Training is a fully approved flight school formed in late 2014. 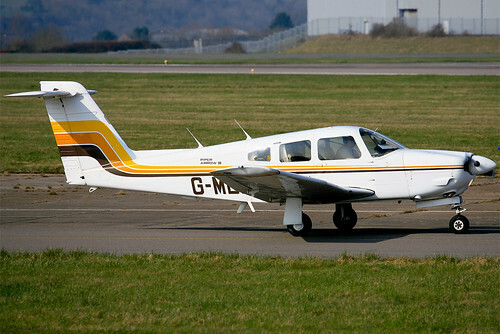 Offers training for EASA PPL, EASA LAPL and Night Rating. 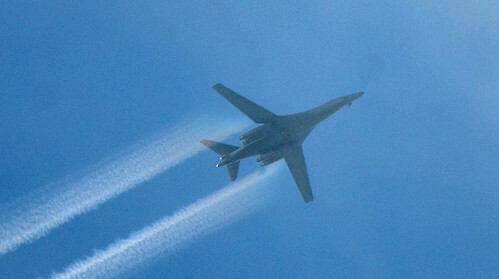 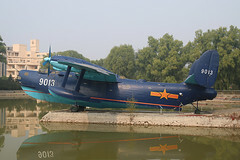 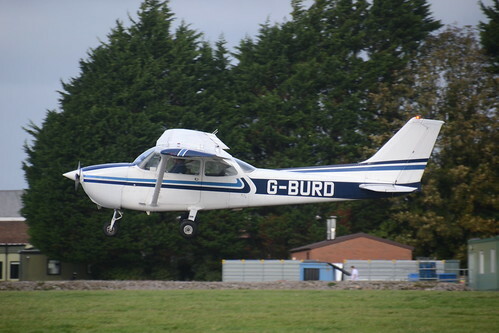 Also offer Trial Flight Experiences and pleasure flights. 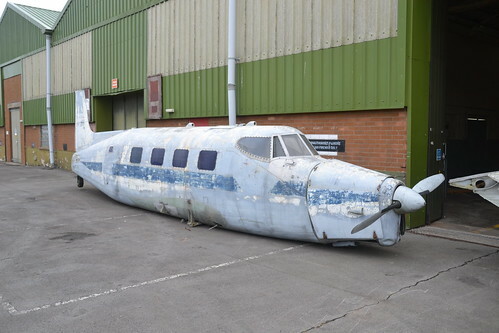 We don't know when the Company started or when the aircraft arrived. 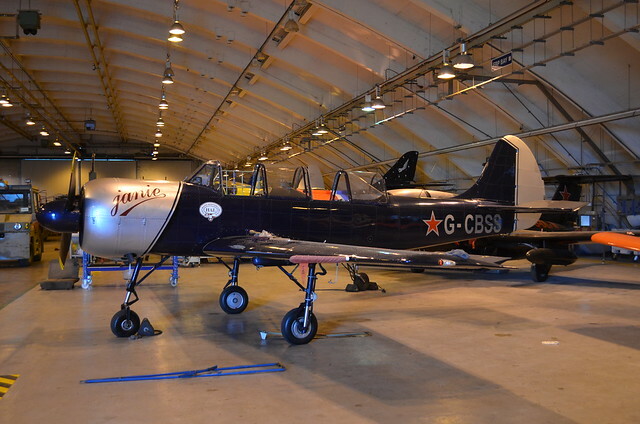 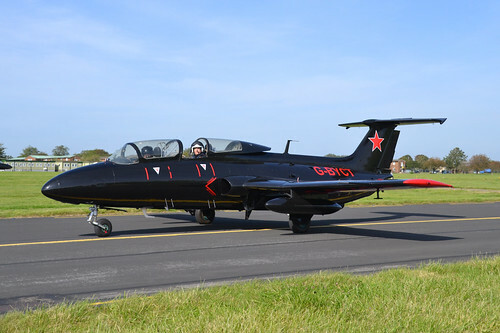 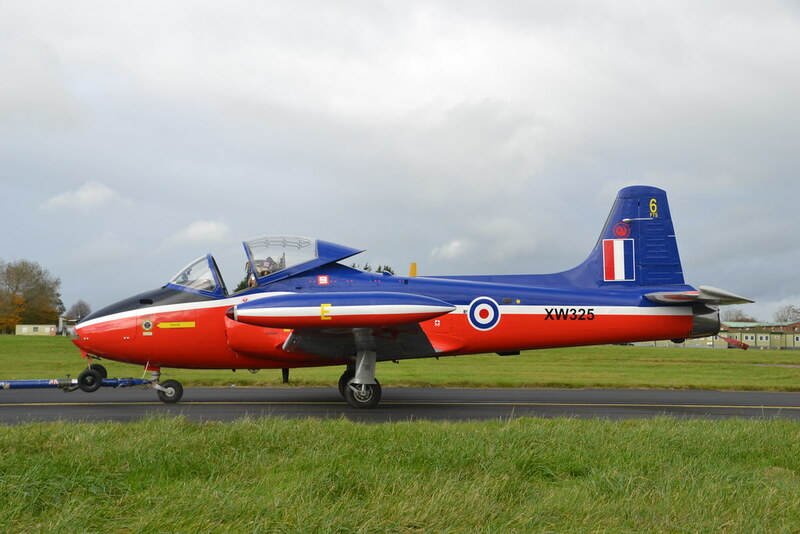 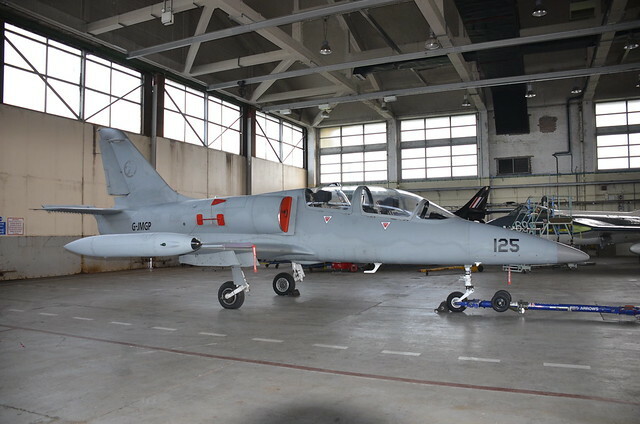 Formed in 2012 as a new aerobatic/demonstration team flying L-29 Delfins. 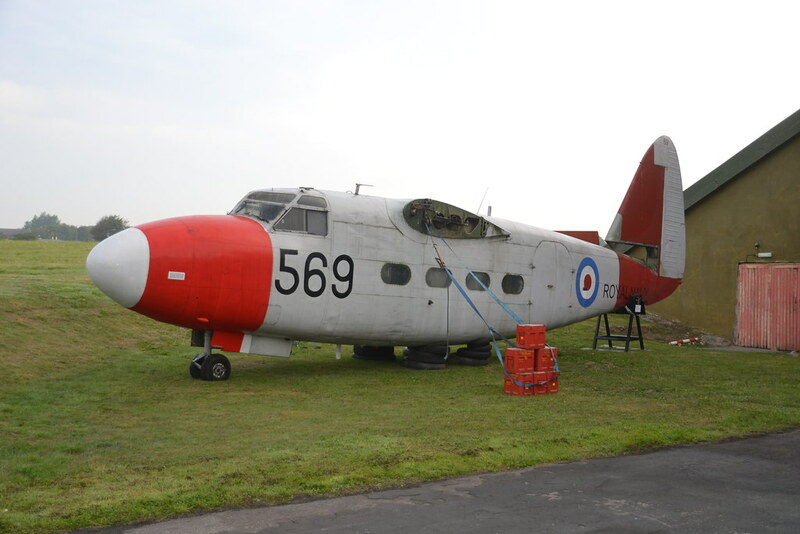 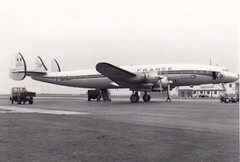 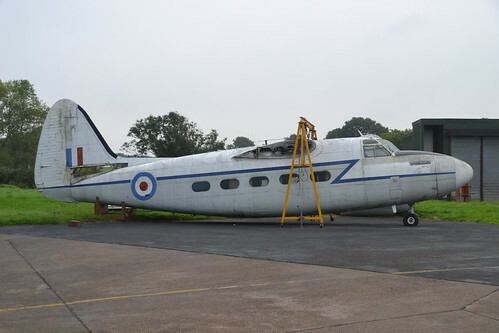 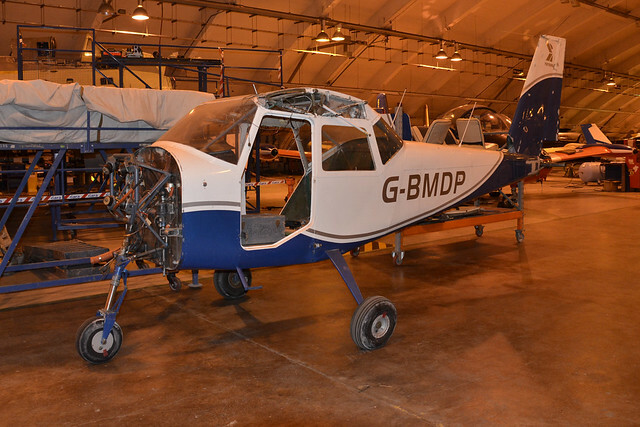 Aircraft hangared and restored/maintained by HFL. 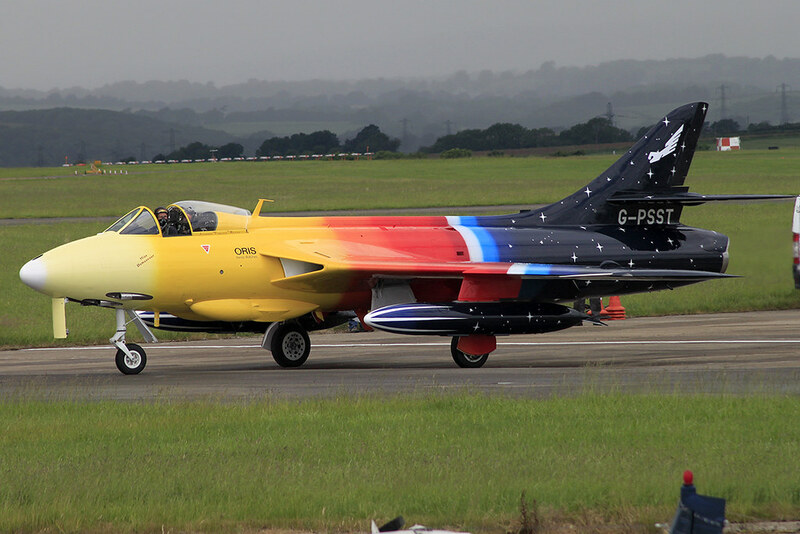 Web page no longer current 2014 and team believed to have disbanded without a display being flown. 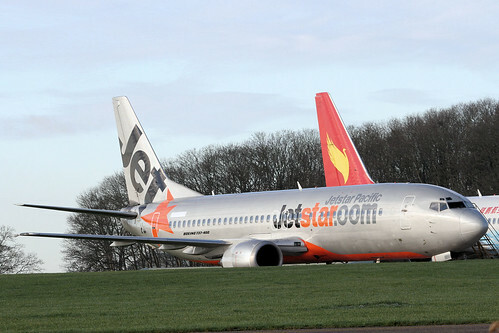 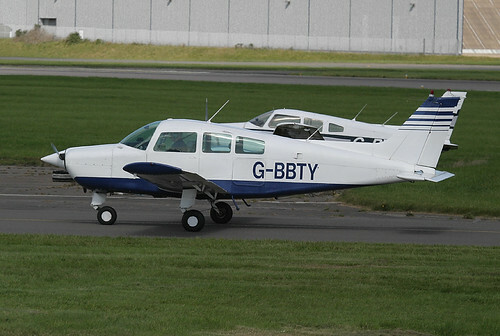 The aircraft continue to be based with private owners. G-BYCT Aero L-29 Delfin ..arrived by road 22/02/12. 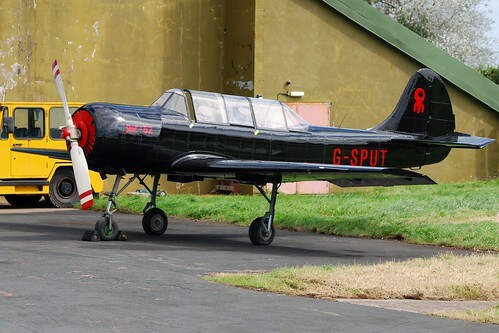 Sold 06/08/12 and departed 04/09/14 to North Weald. 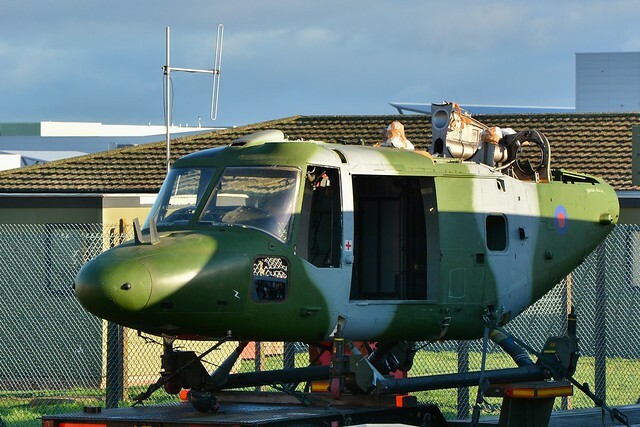 Arrived 03/12/14 for maintenance. 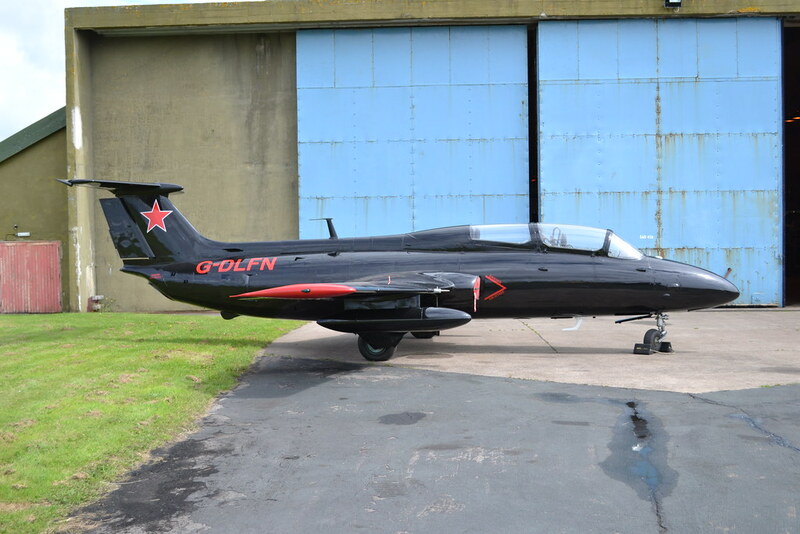 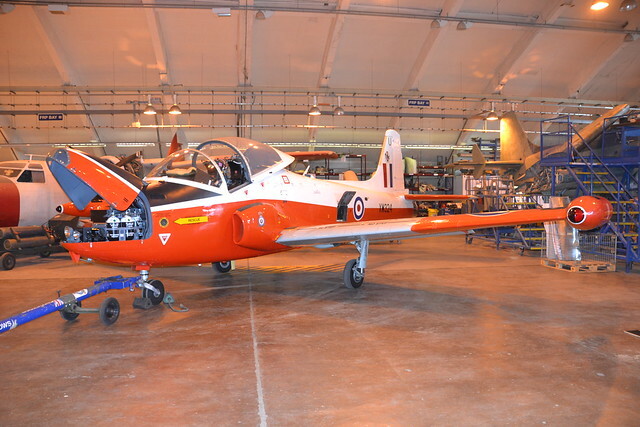 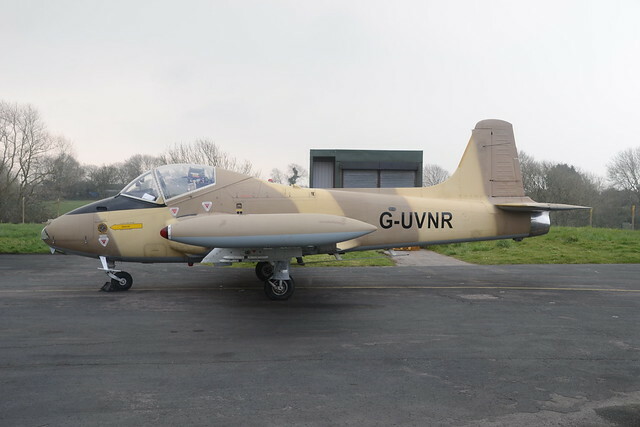 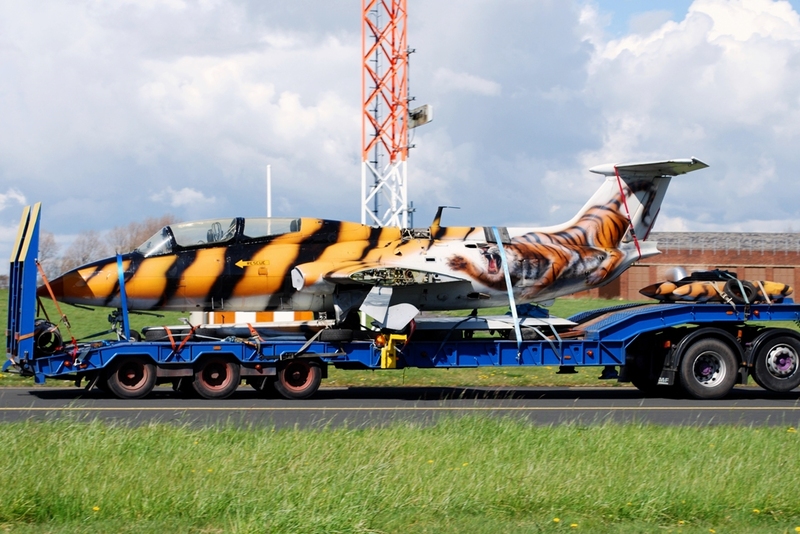 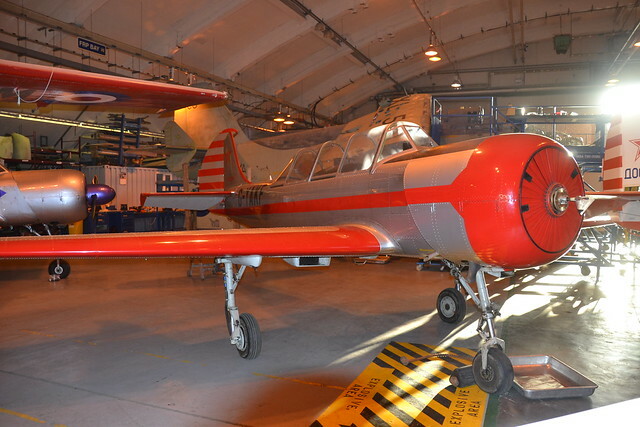 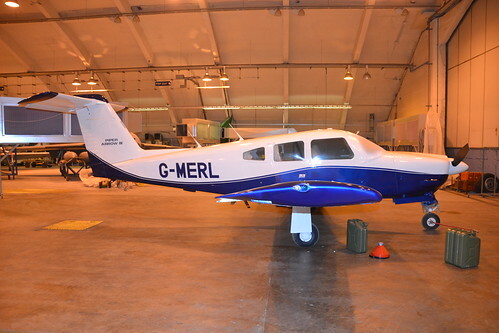 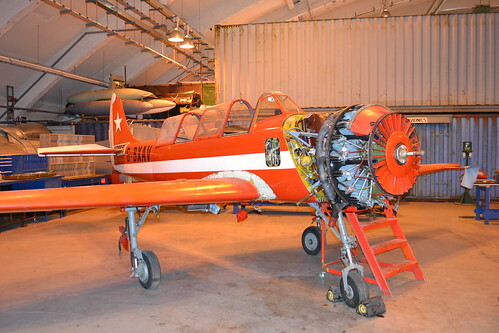 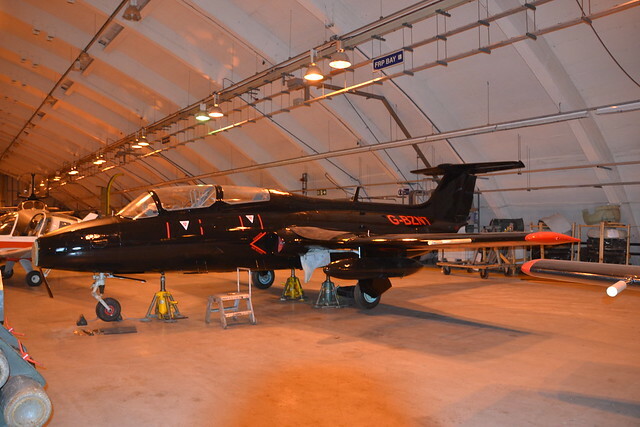 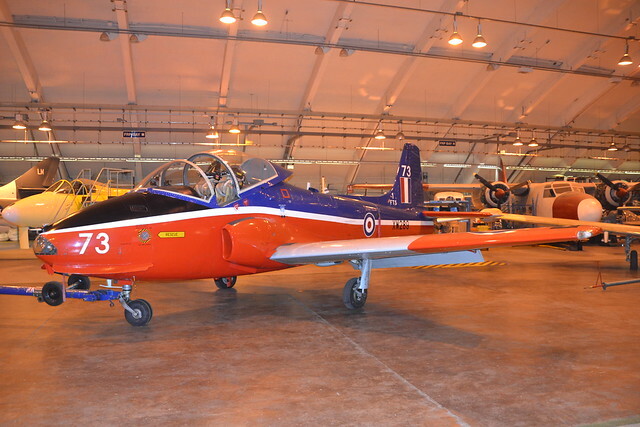 G-BZNT Aero L-29 Delfin ..arrived by road 16/02/12, restored and repainted 2014. G-DLFN Aero L-29 Delfin ..arrived by road 24/05/12 as D-FJET. 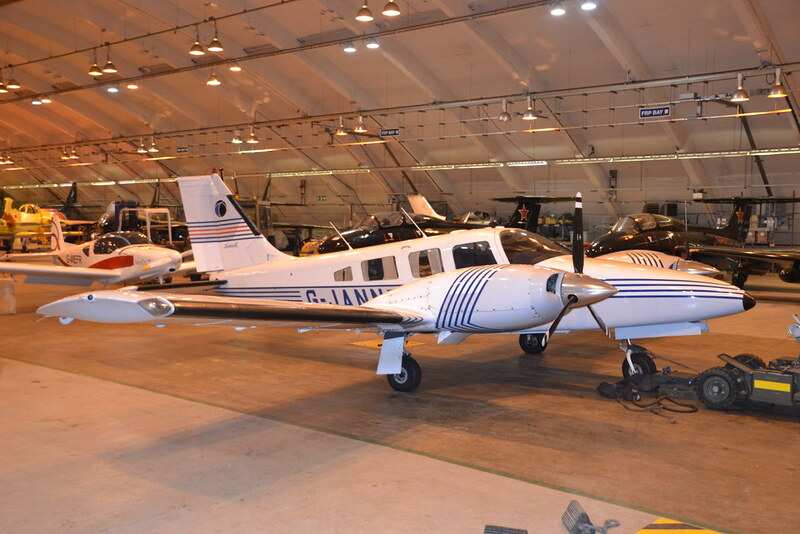 Formed late 2013 and began operations in January 2014 from the Horizon hangar. 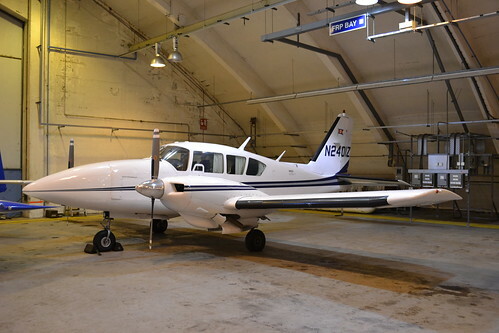 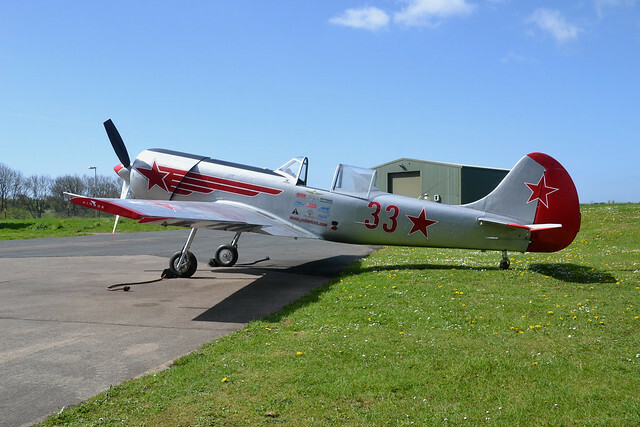 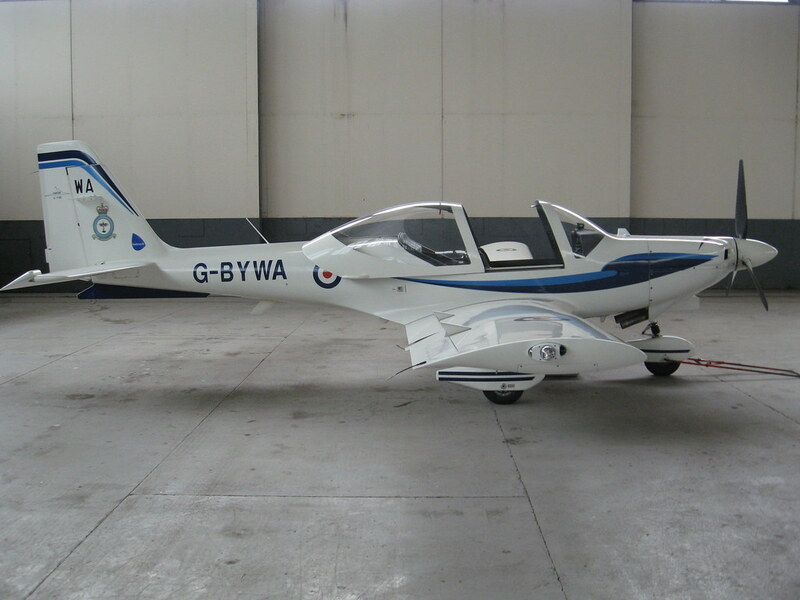 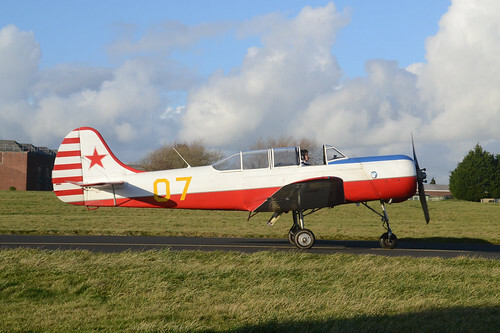 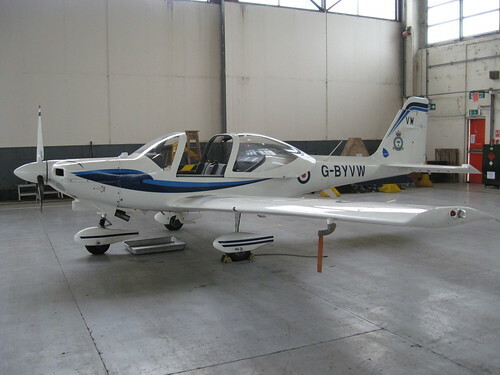 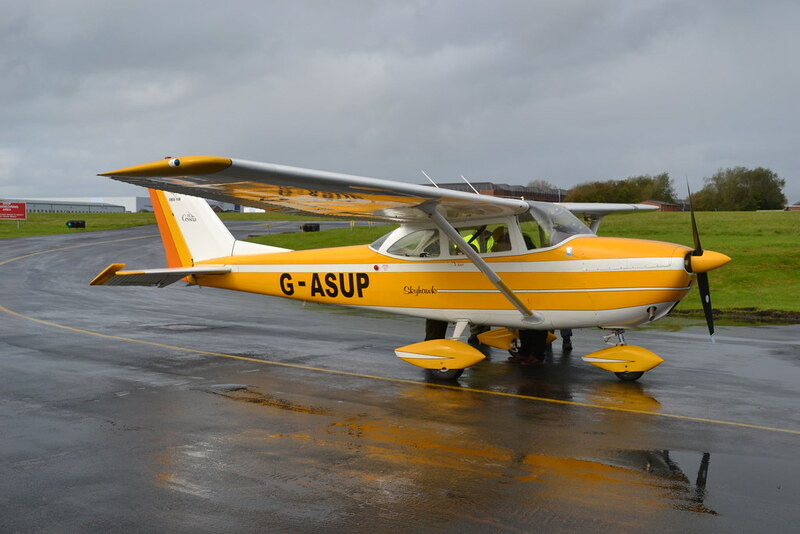 Their Aim is to provide South Wales with a reputable, reliable, professional and safe flight training centre and flying club facility for Student Pilots, Experienced Pilots, Aircraft Owners and Aviation Enthusiasts. 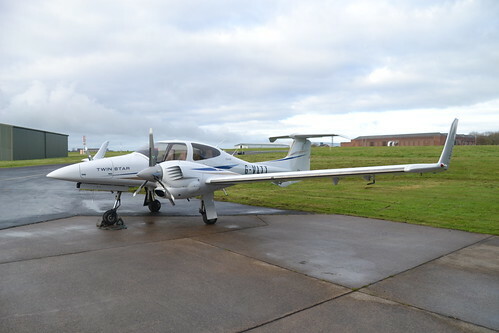 They offer flight training, license and rating qualifications, private hire, air experience flights, Pilot services and Fuel. 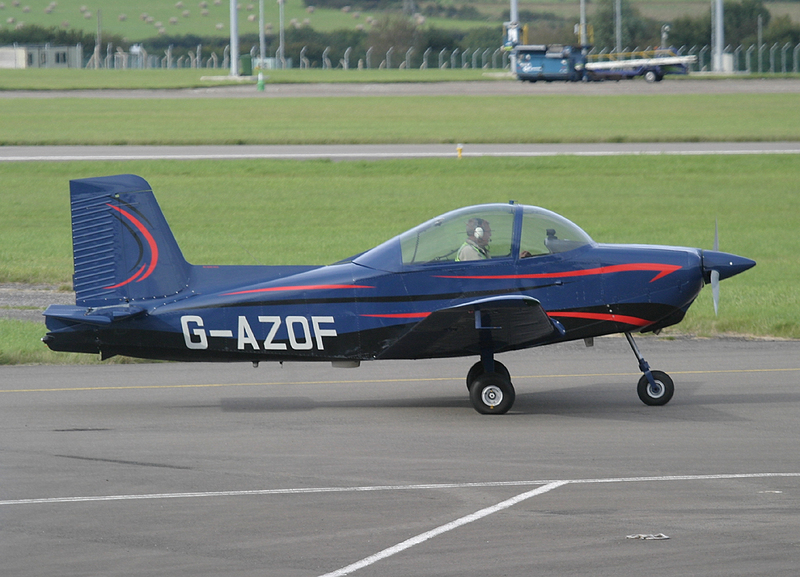 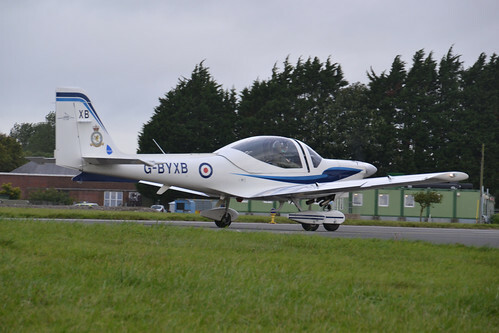 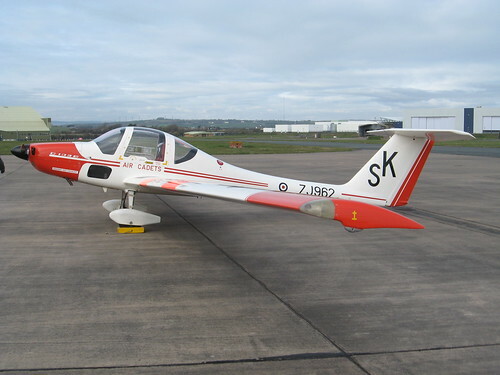 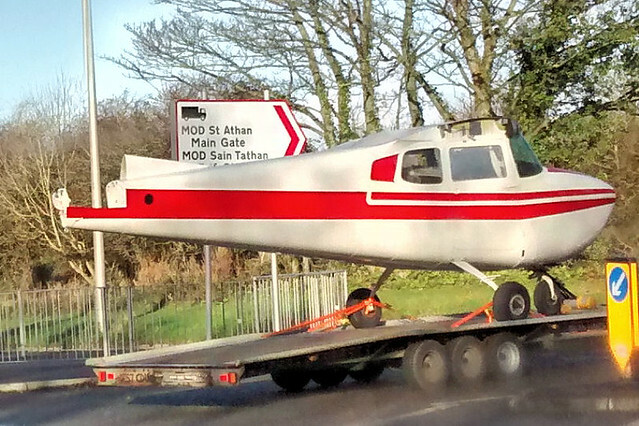 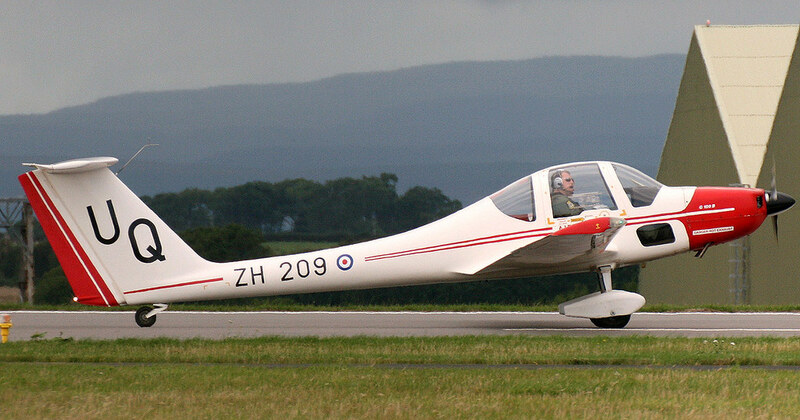 Club believed to have gone out of business summer/autumn 2014, and is no longer present at St.Athan. 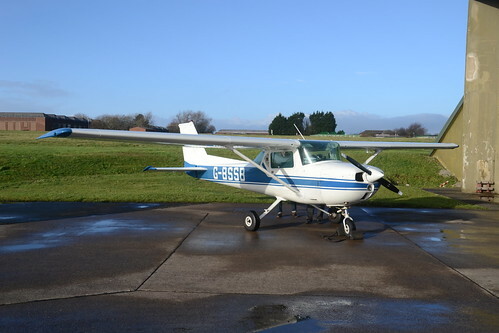 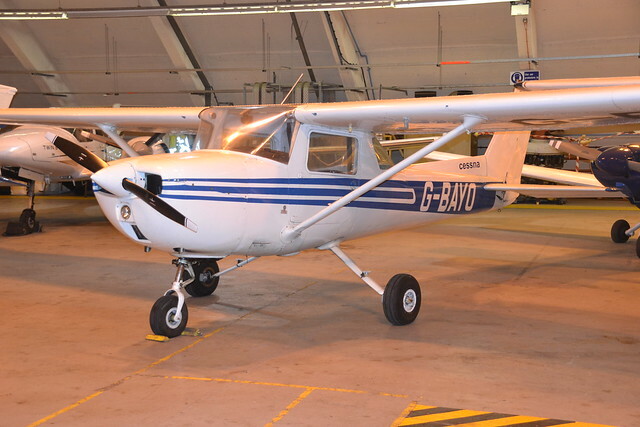 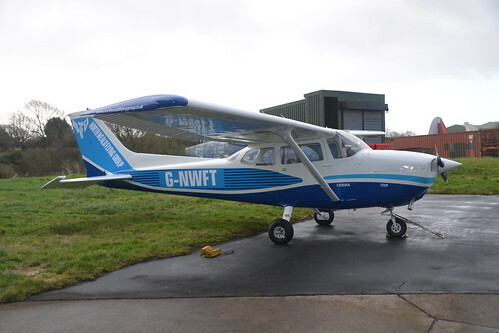 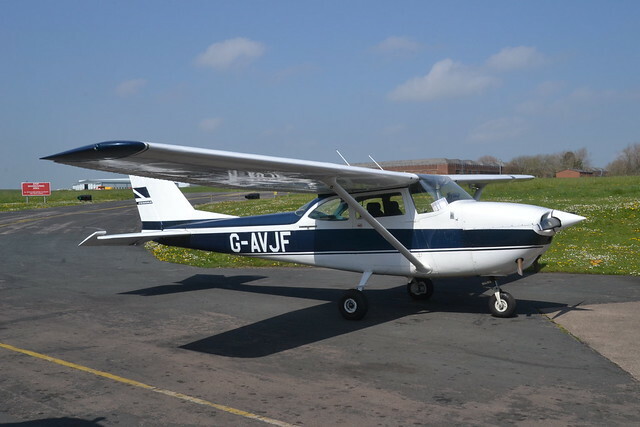 G-BAYO Cessna 150L ..arrived 11/04/14 from Haverfordwest ..departed mid 2014 ? 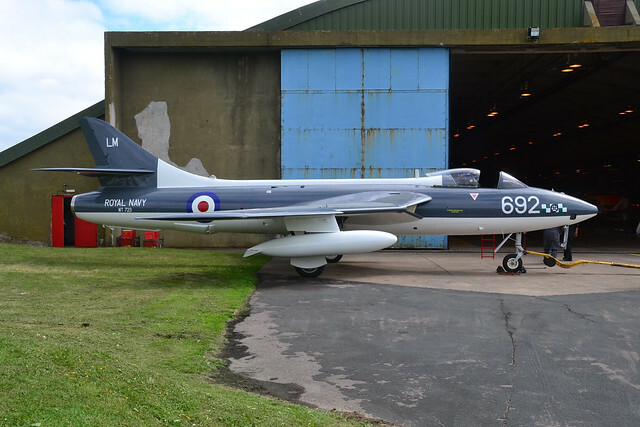 Formed in Summer 2014 and based in Hangar 385. Believed closed soon after start-up. 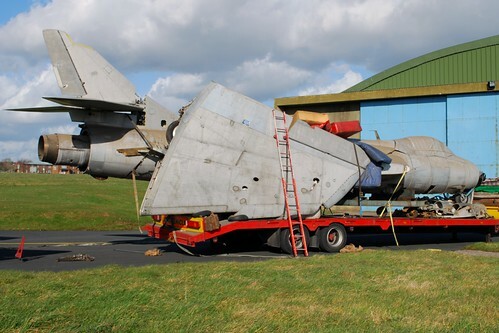 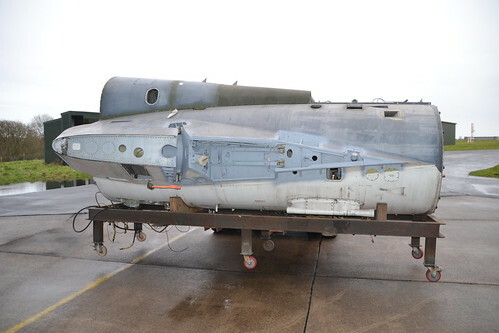 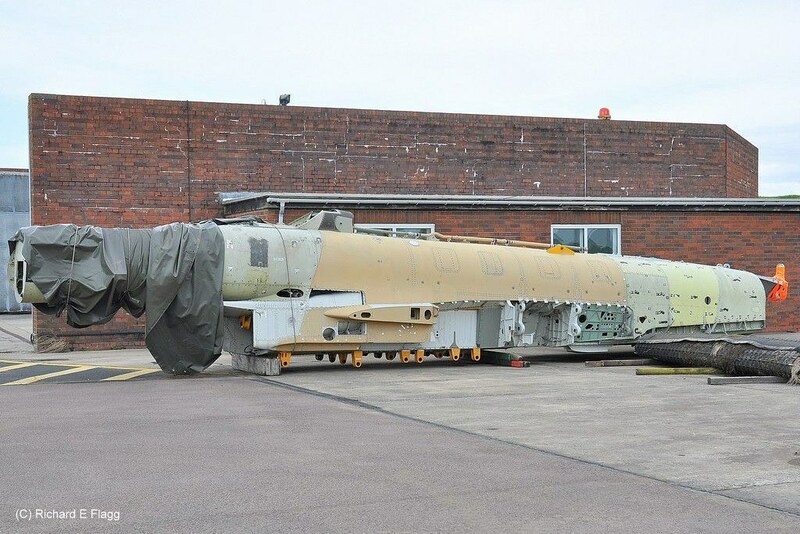 Stored near the church and in the area where the VC-10s were scrapped is the fuselage of a Eurofighter. 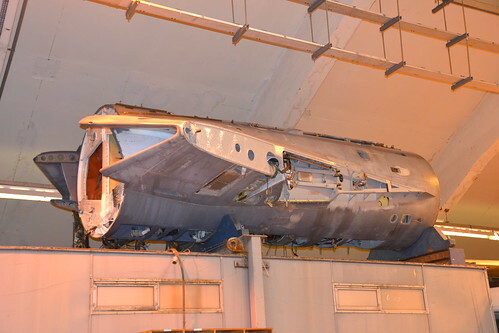 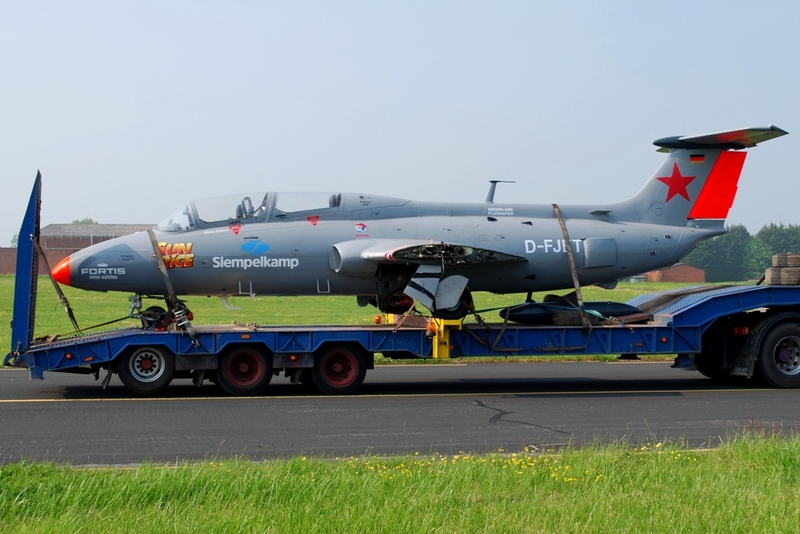 This is non-flying Major Test Item "JP098", used for wing attachment box trials by EADS Munich. 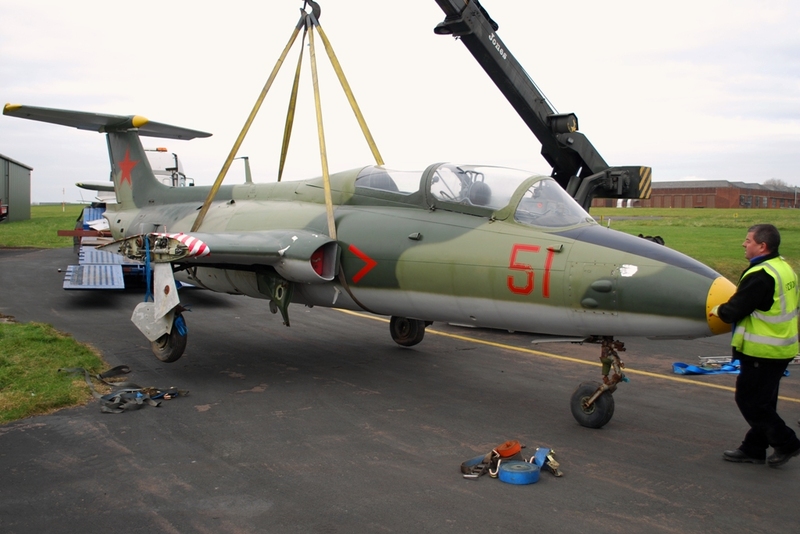 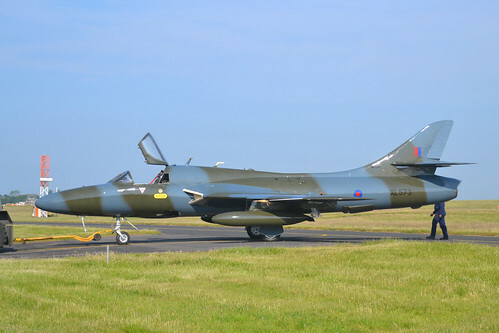 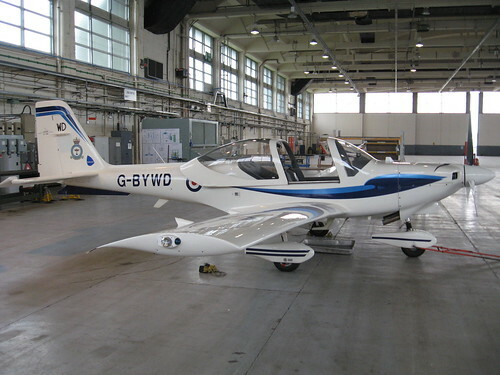 It arrived at St.Athan on 11/07/02 and was at first stored by the Battle Damage Repair Training School before passing to the NDT School. 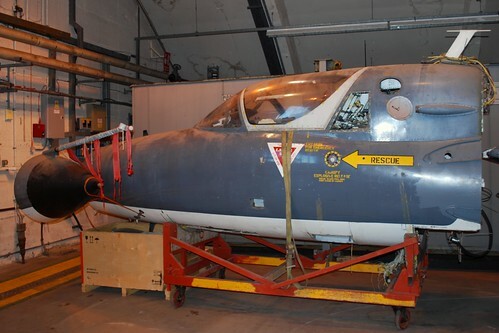 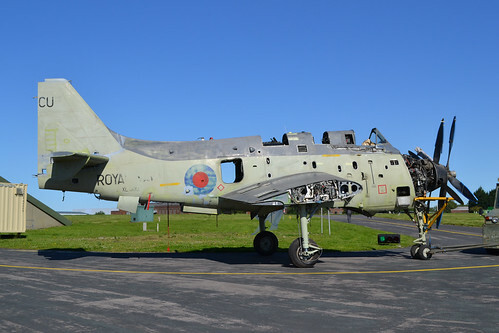 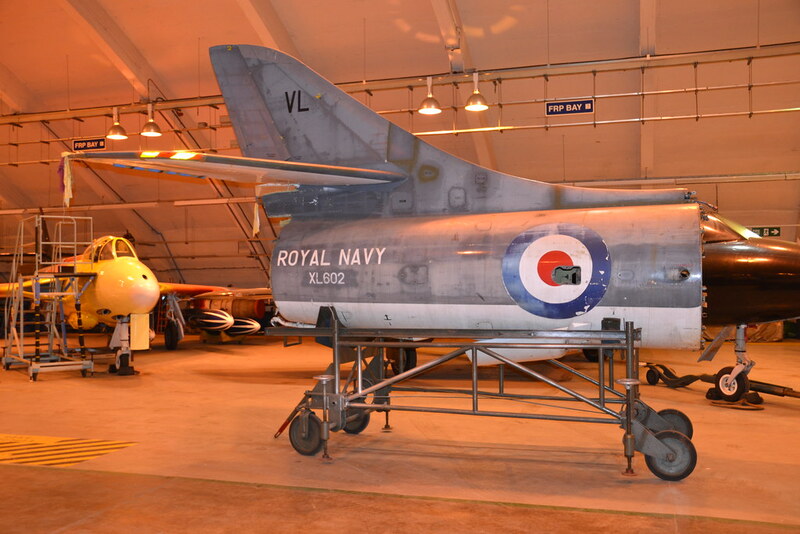 For many years it was stored near the old Harrier engine running pan. 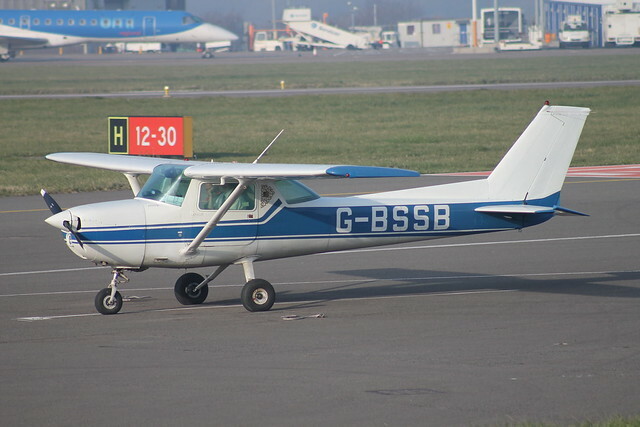 Last seen 03/09/14.